Grassroots organisation The 3 Million has provided worrying evidence of discrimination against EU nationals in the UK. 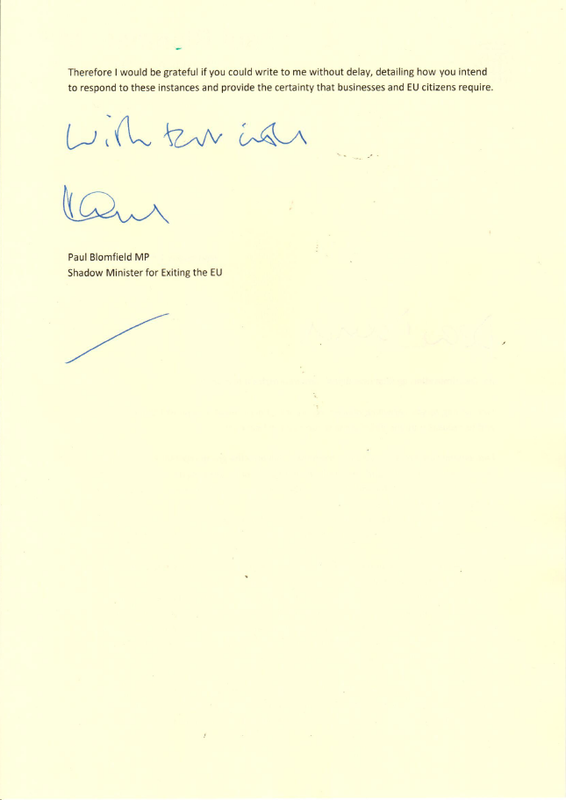 I’ve written to David Davis outlining some of the allegations and calling on the Government to take action. 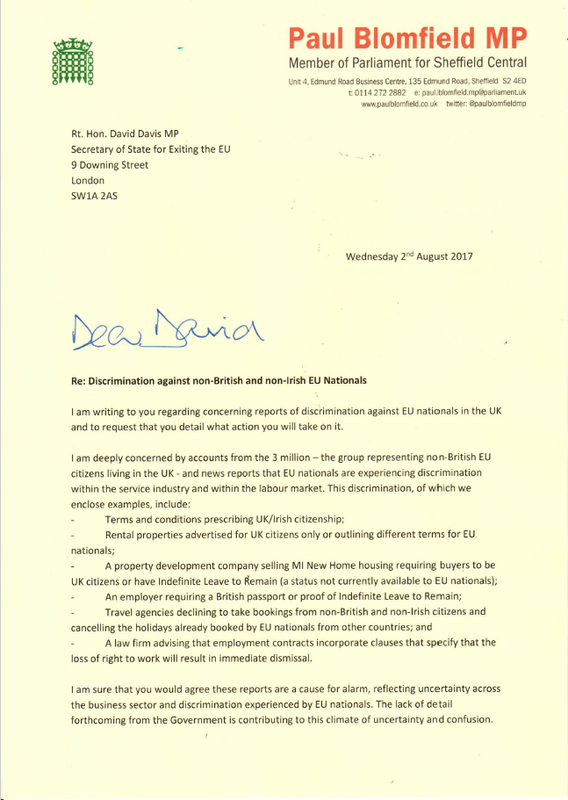 There are allegations of rental properties advertised for UK citizens only or outlining different terms for EU nationals; of travel agencies declining to take bookings from non-British and non-Irish citizens; and an employer requiring a British passport or proof of Indefinite Leave to Remain.